Last night my HuMom & I watched a show about the animals in Cambodia & Vietnam. Despite 30 years of war, the jungle life has continued to thrive. There are so many animal species, it’s simply amazing. 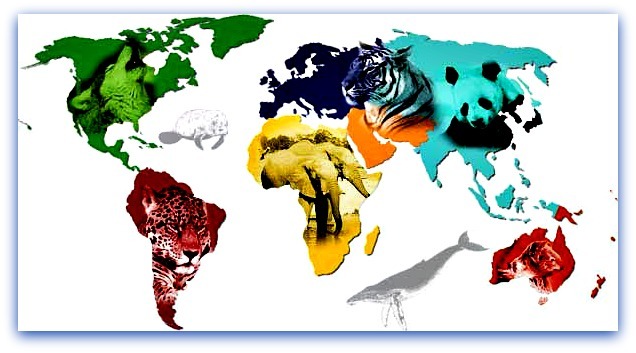 Tomorrow is World Animal Day, an international day of action for animal rights & welfare. It began way back in 1931 at a convention of ecologists in Florence, Italy who wished to highlight the plight of endangered species. October 4th is the feast day of Saint Francis of Assisi, the patron saint of animals. There will be many ways to celebrate no matter where you might live. This is a global event. There may be anyone of the following activities in your area. Myself, I think every day should be World Animal Day. We should all live in harmony & have compassion for one another.